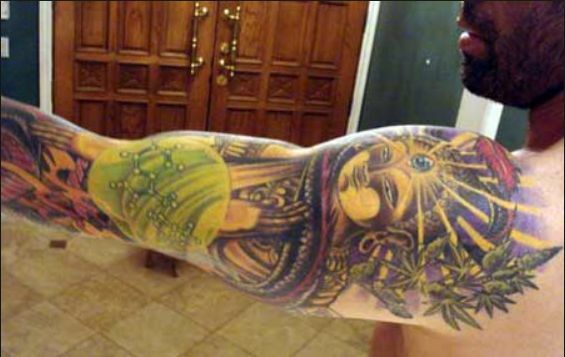 Joe Rogan has a full right arm inked with a tribal tattoo which looks pretty impressive in its appearance. He hasn’t explained or related any meaning to it. 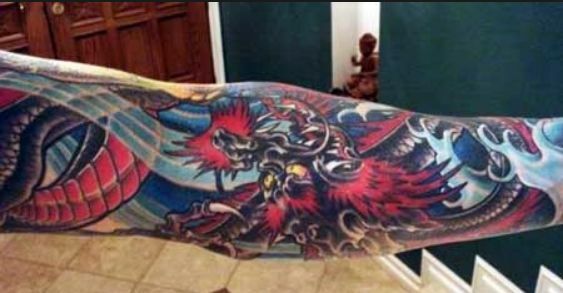 Joe has a magnificent tattoo on his left arm which is engulfing his entire arm length. 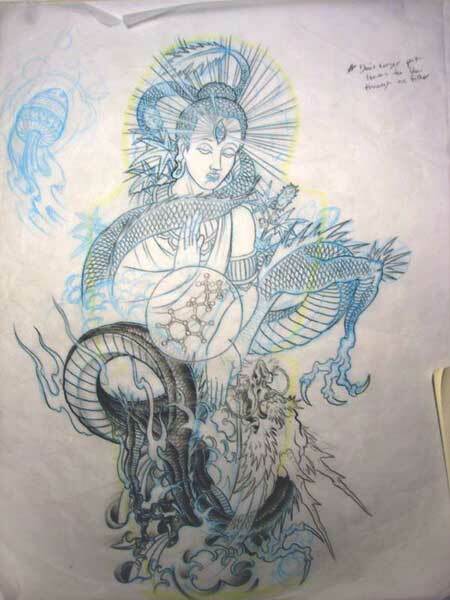 The tattoo appears spiritual as it seemingly has a godly figure on the top with its third eye open,with a snake from it going downwards to the entire length. It resembles Lord Shiva from Hindu mythology. Then we see a chemical structure of some chemical compound inscribed in between the figure. Joe explains this tattoo as some other dimension that we visit in our sleep under the influence of a drug called DMT that is secreted while we are in the deep sleep. He believes the figure to be the alien that communicated to him while he was in the other dimension.